My house is 6 months old. Situated across the road from a nature reserve, there is a new park at the end of the street and the state high school is currently being built around the corner. This is a quiet neighbourhood with a community play area and bus stops within a 5-minute walk. This suburb is still being developed. Less than 5 minutes drive to childcare, primary schools, Coles, IGA, gym, coffee shops, hairdresser, takeaway and medical centre. Within 1/2 hour of Tamborine Mountain, Hyperdome or Yatala. The back and side landscaping and fencing should be completed this year. There is ducted air conditioning throughout and fibre optic internet. The house is 4 bedroom with a study and media room. The lounge/dining and kitchen is open and spacious. There’s a fully equipped kitchen with walk-in pantry. I’m looking for my new housemate to be a non-smoker, do no drugs and not be a big drinker. I’d prefer no wild parties or bringing lots of people over for drinks regularly. You are welcome to use my plates, cups, kitchen utensils, etc on the proviso that if you break or damage it, then you will replace it new for old. Same with any damage to the property or yard. For example, you break the Noritake, you replace it with the same Noritake, or if you stain the couch you have it professionally cleaned. It’s not too hard to figure out. Food, drinks and personal items are at own cost. Laundry detergent, toilet paper, etc. can be a negotiated shared cost. Bills will be split. You will have space in the bathroom cupboard, walk-in pantry, kitchen cupboard, laundry and fridge/freezer. You may also have some space in the deep freezer if wanted. The room is of a decent size. You will share a bathroom and toilet with another housemate. Furniture is flexible. The room has built-in extra high wardrobes with glass doors. The top shelf is tall enough for an upright suitcase as the wardrobe is floor to ceiling. Preferably, you would have your own furniture. A spacious and tranquil place to stay. Modern home on rural setting. Easy going atmosphere. Lovely outlook, quiet suburb. Fifteen minutes away from all facilities. Will suit those looking in the Upper Coomera, Pimpama , Ormeau and Coomera areas.. 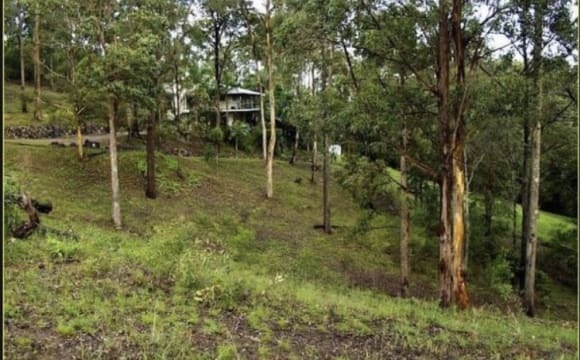 If you are interested in this property then I guarantee that inspection will not disappoint....Totally private acreage property with private road into the property. 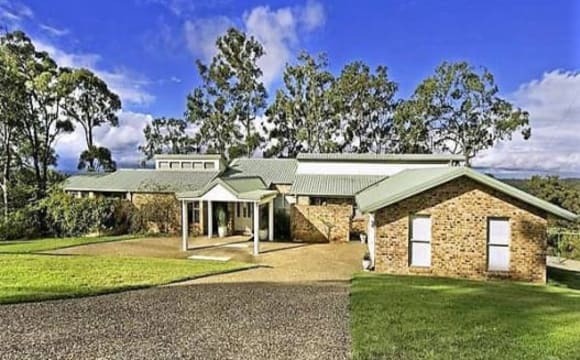 Situated on 15 acres with abundance of wildlife, only 5 minutes from the M1 Pimpama exit (exit 49) and has great views from beyond North Stradbroke to Southport. I am looking to rent the room shown in my pictures however the room is only available for 4 months from the 21st May until the 21st September... The room is large with a large built in wardrobe and you will have your own bathroom. It has beautiful views and sliding doors that lead onto the large deck..The kitchen is well equipped with most appliances including dishwasher. The large deck has great views to the coast and is fully screened and is the most popular part of the home. There are many other features as well.. The Upper Coomera Town centre is minutes away and contains a Woolworths and Coles as well as an abundance of restaurants, fast food outlets, specialty stores and medical and professional services while the new Westfield Shopping Centre and Event Cinema are also only minutes away.. Private furnished bedroom in quiet house in quiet street, short walk to shops and parks and local pool, etc. We have foxtel and all mod cons, as well as an little ginger cat. My house is classed as upper Coomera however is right next to pacific pines &amp; Helensvale so it’s not actually upper Coomera. Hi, I’m 26 and looking to rent out my spare room. My house is fully furnished in all rooms so you won’t need a thing to move in. 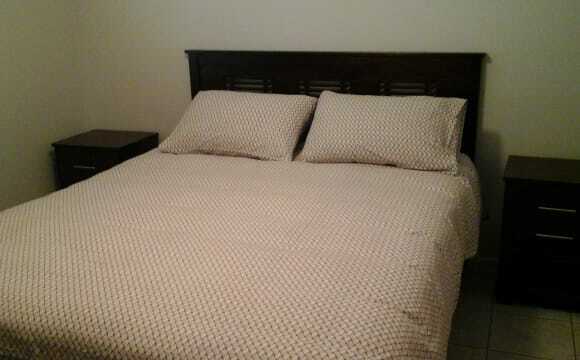 Bedroom has a bed and a bedside table which I can move out if you wanted to bring your own. I also have an office with a big desk and a Mac with a printer, I’m happy for you to use the computer/printer when needed. There is room available which will share a bathroom with my other 2 housemates who are a couple. All 4 bedrooms and both bathrooms are upstairs with kitchen, living, dining, laundry, powder room and media room downstairs. This house is only 3 years old and is very modern. 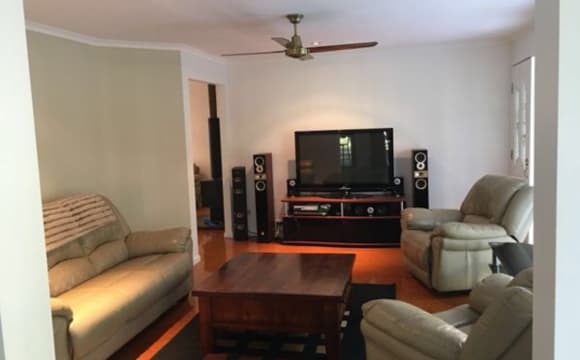 It has the following for you to enjoy: - internet - ducted air con - tv in lounge room and 100 inch screen in media room with foxtel - another living area upstairs with TV (3 living areas in house so plenty of space for all of us) - fully furnished in all rooms - there is a tennis court, 2 x pools, gym, sauna, spa and BBQ area you can use for free only 500m away (part of the estate I live in) I’m in the main with my girlfriend and I have a couple living in one of the spare rooms. Room is available now. Please message on here or text if you’d like more info or want to see the house. The appliances are the best to cook on. The house is so knew so it's a pleasure to live in. Fast Nbn. 2 years old house. New and clean. Great area. 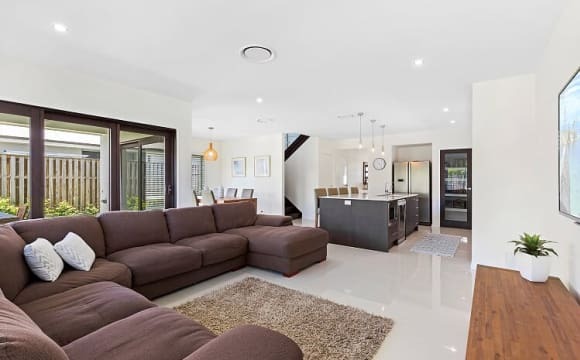 Modern home in picturesque Highland Reserve, with Tamborine Mountain as backdrop. 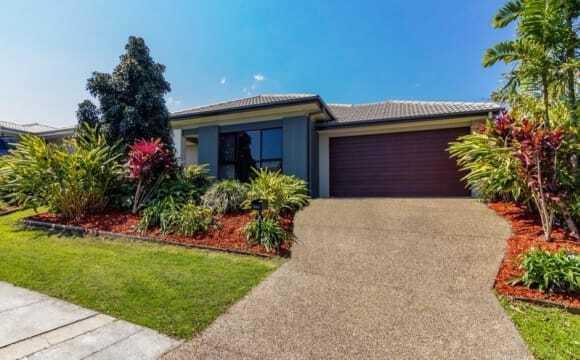 (https://www.stockland.com.au/residential/qld/highland-reserve/life-at-highland-reserve) Features, facilities and transport: - Walking distance/ 1 minute drive to: a beautiful lake that is home to ducks and swans, a cafe, tennis courts, basketball courts, BBQ facilities, a convenience store and bus stop - 4 minute drive to Upper Coomera Shopping Village, with Coles, a cafe, laundromat, medical centre, pharmacy, a bank, Subway, pizza and more - 5 minute drive to library and swimming pool - 6 minute drive to Upper Coomera main shops, with Woolworths, Coles, Aldi, Spotlight, TK Maxx, multiple gyms, beauty and massage, post office, McDonald's, KFC, Hungry Jack's, Sushi Train, Zarraffa's, GYG, Pizza Hut, Domino's, Indian, Thai, Baskin-Robbins ice-cream and many more - 8 minute drive to Dreamworld and WhiteWater World - 9 minute drive to Westfield Coomera, a brand new shopping centre with everything food and shopping, also Coomera train station - 10 minute drive to Movie World and Wet n Wild - 11 minute drive to Homeworld Helensvale - 18 minute drive to Griffith Uni - Half hour to Bond University, Pacific Fair Shopping Centre, Broadbeach, Mermaid Beach etc. Basically, it's a fantastic location close to everything you could possibly need. But if you really don't feel like leaving the house, there's always Netflix? We have comfy recliners and a nice TV. 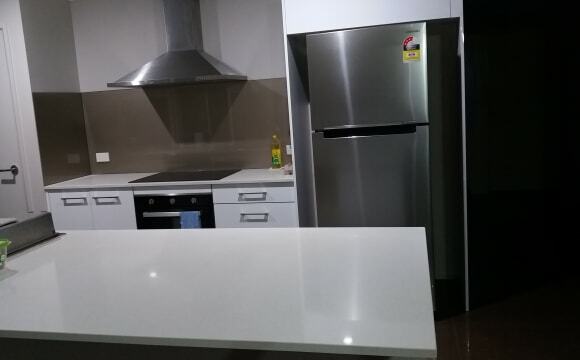 There's everything you would expect in a house, including air con, dishwasher etc. Bathroom: There are 2 bathrooms: the ensuite attached to my room, and the main bathroom (with shower, bath tub and separate toilet) which will be yours to use. Majority of the time, there will be no one else sharing your bathroom, unless we have friends / guests over, then they will use the main bathroom. Semi rural 3 bedroom house in a quiet street, close to shops, gym, public transport and M1. 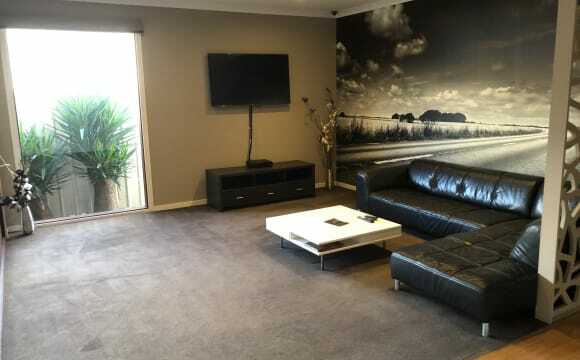 House is fully furnished including, kitchenware, washing machine, lounge and dining areas. 2 unfurnished bedrooms available for rent, must have reliable references.